Ant-Man Costume Complete with Antony the Ant « Adafruit Industries – Makers, hackers, artists, designers and engineers! Ian Toh liked this summer’s Ant-Man movie so much he decided to dress like the character for Halloween. Before the film, he didn’t even care about the character. But, he was inspired so he made the helmet and suit from scratch. That’s quite the undertaking on its own, but he also made Ant-Man’s ant friend Antony. 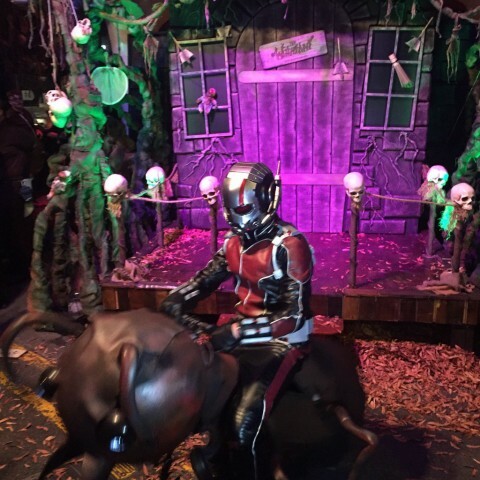 The ant becomes Ant-Man’s noble steed of sorts in the film. Toh told Asia One he crafted the ant from an electric scooter, EVA foam, and styrofoam. He acquired the scooter through a Groupon sale for $150. He matched the styrofoam to the color of Antony’s exoskeleton and used EVA foam to sculpt the ant’s legs, body, and antennae. 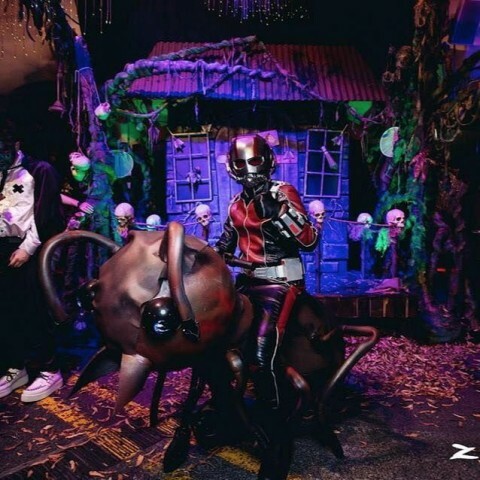 The costume won a prize at Zouk’s Halloween party and garnered attention from Ant-Man director Peyton Reed.